Things should get interesting in the boys high jump this spring. Tunkhannock's Trejon Turner was last year's breakthrough performer. 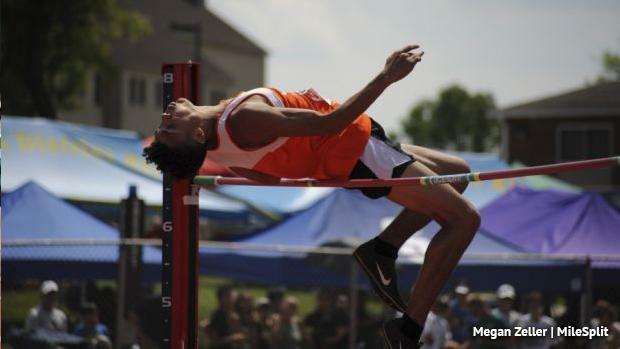 As a sophomore, he jumped a best of 6-9 before taking fourth at states in AAA. After some major PRs last year, what does he have in store for his junior year? He'll be among the favorites in a deep classification that will make for an interesting state meet. Cole Peterlin of Perkiomen Valley will be looking to follow up his indoor success with a solid outdoor season. Peterlin won the indoor state title last month after a dramatic jump-off. He missed out on qualifying for states last year and will be very motivated this season. Reading's Juan Mato-Segura will be a factor. He's the only returning state medalists in AAA besides Turner. He's fresh off a strong indoor season and will contend here, too. Other strong AAA returners include the Bethlehem Catholic duo of Bobby Kulp (6-6 best) and Matt Stianche (6-5 best), and three others with best jumps of 6-5 from last spring: Junior Karyea (Nazareth Area), Sami Taoufik (Butler), Ishyne Pilgrim (Pocono Mountain West). Indoor medalists Joe Cardina (Conestoga Valley), Tommy Christie (LaSalle College), Kasey Savage (Hatboro Horsham), and Penn Charter's Patrick Fehm (the top performing PAISAA jumper from the indoor season) will also contend this season in PA. Taoufik is also an indoor medalist. In AA, the one to beat is Bermudian Springs' Kolt Byers. The 2018 indoor state champ took a close second this winter in that jump-off with Peterlin. Byers returns with a best jump of 6-8 from last spring. He took fourth at the state meet in AA last season and leads two other medalists back from a year ago. The other two returning AA medalists from last year are Montoursville's Dominic Caputo and Redbank Valley's Samuel Hetrick. Caputo was sixth a year ago, while Hetrick was seventh. Hetrick jumped a best of 6-5 last spring season, while Caputo jumped 6-4 this past indoor season.